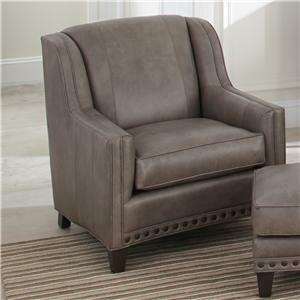 This chair is an excellent addition to your home. 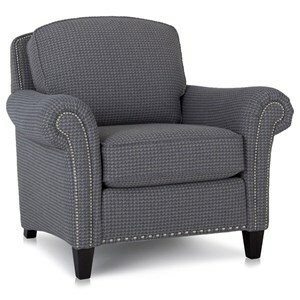 Made with a strong maplewood frame and the highest quality foam back and seat cushions, this piece is comfortable and made to last. 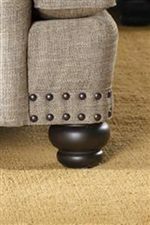 Features include nail head trim, English arms, rolled back, and turned wood bun feet. 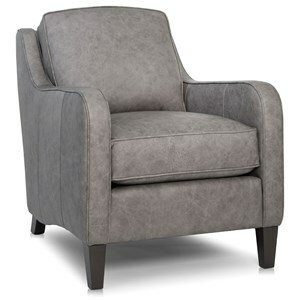 This chair is available in multiple fabrics or leathers. 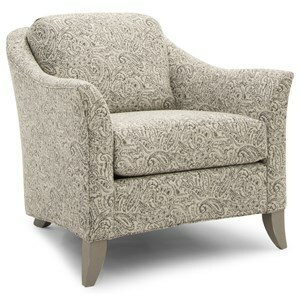 The 388 Traditional Chair with Rolled Back, English Arms and Nail Head Trim by Smith Brothers at Mueller Furniture in the Lake St. Louis, Wentzville, O'Fallon, MO, St.Charles, St.Louis Area, MO Furniture Store and Belleville, Shiloh, O'Fallon,IL area. Product availability may vary. Contact us for the most current availability on this product. 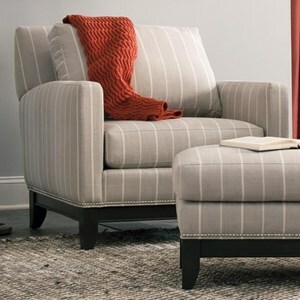 The 388 collection provides you with quality American-made living room furniture. Features include traditional English arms, nail head trim, and turned wood bun feet. 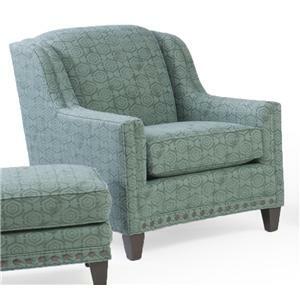 This collection is constructed of strong maplewood frames and Qualux Ultra 2.5 lb density foam cushions, ensuring ultimate and long-lasting comfort. 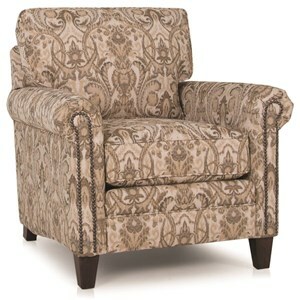 These pieces are available in multiple fabrics or leathers, so you're able match them to your existing decor. 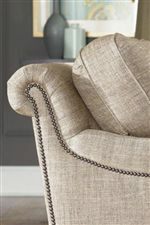 For a traditional and inviting home, look no further than the 388 collection. 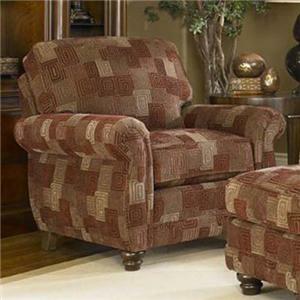 The 388 collection is a great option if you are looking for Traditional furniture in the Lake St. Louis, Wentzville, O'Fallon, MO, St.Charles, St.Louis Area, MO Furniture Store and Belleville, Shiloh, O'Fallon,IL area. 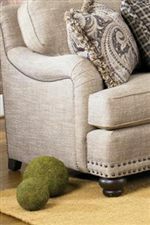 Browse other items in the 388 collection from Mueller Furniture in the Lake St. Louis, Wentzville, O'Fallon, MO, St.Charles, St.Louis Area, MO Furniture Store and Belleville, Shiloh, O'Fallon,IL area.